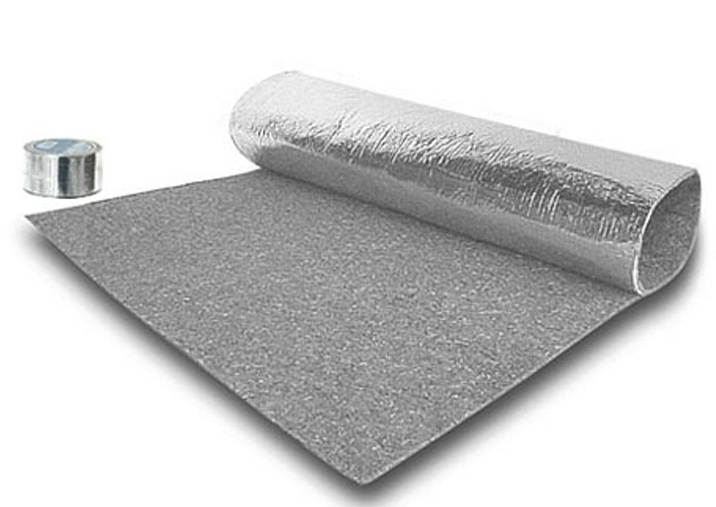 Bonded Logic's UltraTouch Denim Natural Cotton Radiant Barrier is a light-weight, foil-faced, fire-retardant blanket insulation that may be used in a variety of applications, including as a water heater jacket, reducing standby losses from tank water heaters. Made from durable natural fibers, UltraTouch contains no fiberglass and does not itch or cause skin irritation, making it easy to install. The pure aluminum barrier reflects radiant heat and is treated with an EPA registered anti-microbial agent that offers protection from mold, mildew and fungi, as well as fire resistance. This UltraTouch Water Heater Jacket is 72" long x 48" with an R-value of 6.7. A roll of pressure sensitive aluminized foil tape is included.